A few months ago, I finally purchased an 11-inch MacBook Air. While most of the time I'm working from home and could probably use a machine of any size/weight, the time I do travel is typically spent on show floors toting around my computer as well as press materials from all the people I meet along the way. When you're carrying around a computer for 12 hours a day, every ounce counts- and counts a lot. 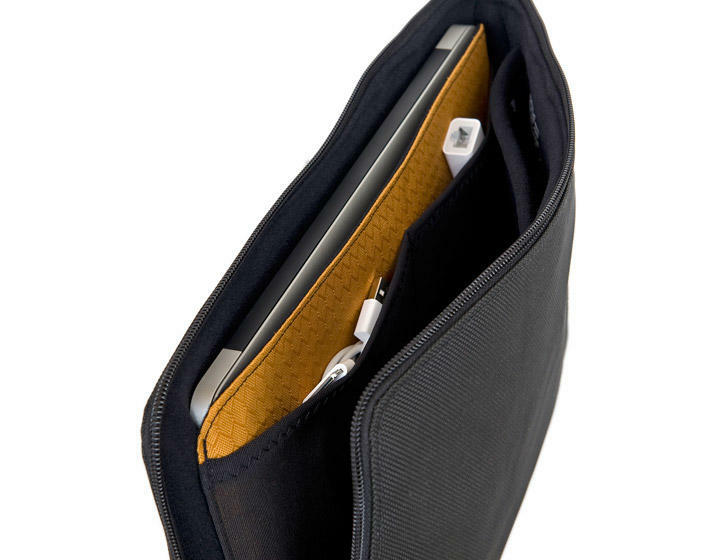 In need of a new case for my new computer, Waterfield Designs was kind enough to send me their new MacBook Air Travel Express case to try out while I was on the road with my Air. The bag was designed to work specifically with the 11-inch Air, which is something you'll notice right off the bat, and something that if you're like me and want your computer to be as compact and transportable as possible, you'll definitely appreciate. 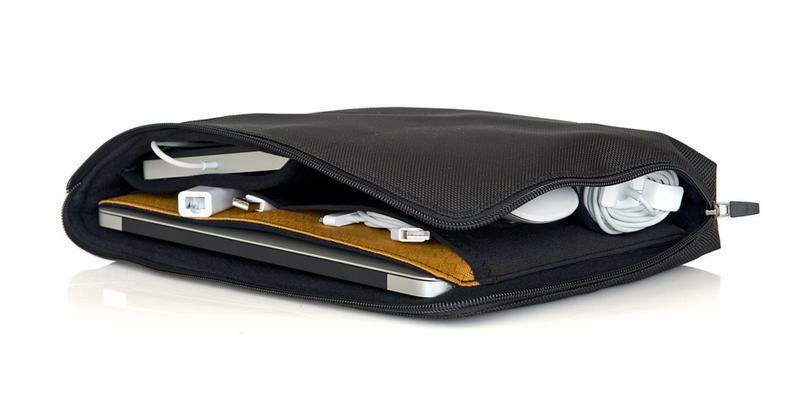 The bag has an internal pocket for the Air itself, and also has several smaller inner pockets you can use to store things like your power charger, mouse, business cards, flash drives and the like. I recently took the bag with me to a trade show in NYC and was able to get my Air, iPad, extra phone, power adapter, digital camera and some business cards to all fit inside the bag and zip up, while still maintaining its slim form factor. You can order the case with or without a shoulder strap, so it can be used as case you put in another bag, or as a stand-alone bag. When I flew, I put the case in the laptop portion of a larger book bag (where it fit perfectly), but while I was out and about in NYC I used it as a laptop bag all on its own with the shoulder strap. The bag is designed to be compact, so you're not going to get a ton of stuff in it, but I was pretty amazed at what did fit. The shoulder strap also has a cushioned portion, so the strap doesn't dig into your shoulder (something that happens with quite a few messenger-style bags when they're fully loaded with stuff and carried around all day). 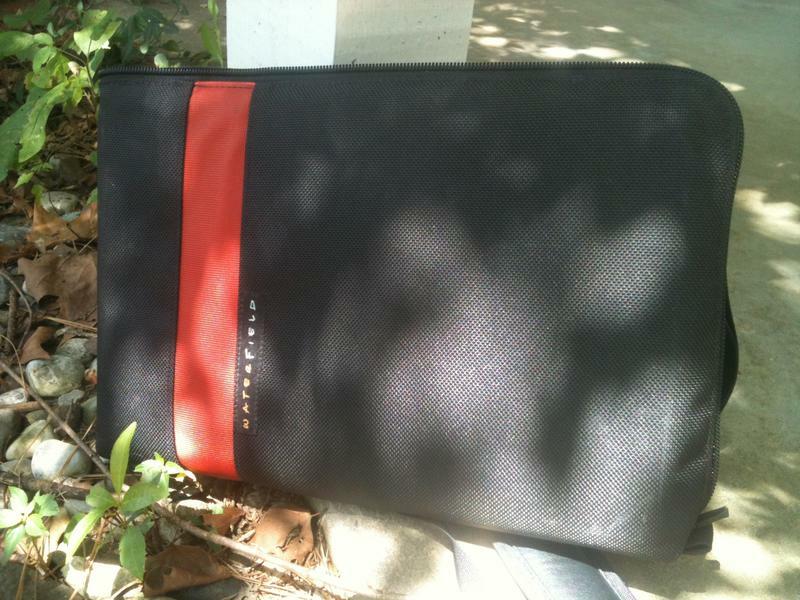 The exterior of the case is water-resistant nylon. I tend to be a little rough on my gadgets, and will put my bag down pretty much anywhere and on anything. After using it for quite some time now, the bag looks exactly the same as the day I received it – a definite advantage over other bags that start to show wear and tear quickly or pick up dust and dirt along the way. Overall, I've been pretty impressed with MacBook Air Travel Express and plan on using it whenever I need to take this blogging show on the road. 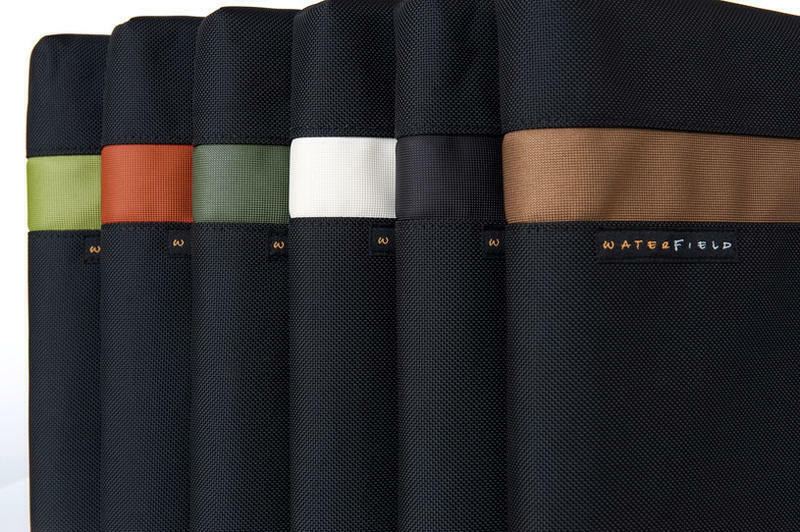 You can get one of your own in an assortment of accent colors (I have flame) here for $79 for the 11-inch model and $89 for the 13-inch, with the shoulder strap setting you back an additional $12-$22.